The Rapid was bought new by my son when the Spitfire was nearing its end and he needed cheap reliable motoring a few years after leaving university. 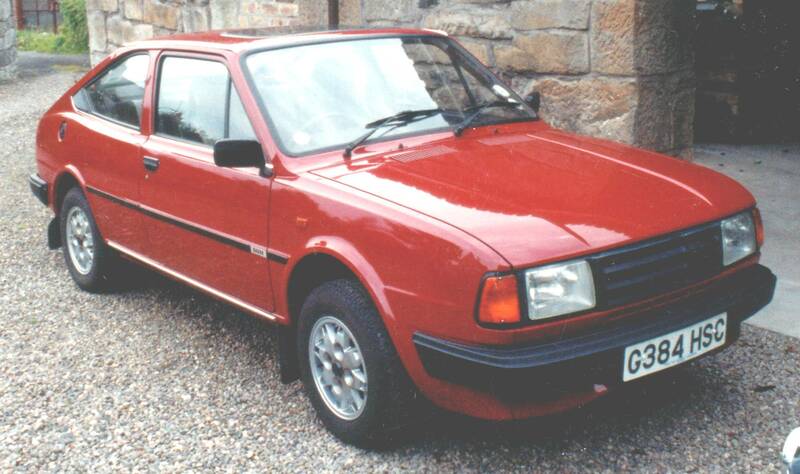 The Skoda name was associated with the poor quality Soviet block products and was despised by most motorists. In fact the Skoda company of Czechoslovakia have been world class engineers since the beginning of the 20th century and they have been producing cars since 1925. The Skoda record of success in world class rallying is unequalled by any other manufacturer. The Rapid was the last phase of the rear engined Skodas and as such had various mechanical improvements e.g. all aluminium engine, lead free petrol, 5-speed gearbox, new semi-trailing arm rear suspension, 4-pot front disc brakes and wider track. The only problem really was the quality of the interior which was a bit flimsy and creaked and rattled but performance and reliability were excellent especially on the Rapid coupe. With its rear mounted engine the road holding and 'turn-in' were excellent. It was one of those cars where anybody behind immediately had to overtake to prove how good their car was but usually a few seconds acceleration and a couple of bends and they were left behind and did not appear again. The Rapid was kept for 3 years by my son and was driven all over Britain with no trouble apart from a broken gear lever. He then bought a new Favorit and sold us the Rapid - my wife then used it for the next 5 years everyday for her work which involves quite a bit of driving. After 8 years and 70K miles with virtually no expense it was getting a bit scruffy and was traded in for the new Felicia in '98. OHV slant 4 cyl. 1289 cc all aluminium rear mounted engine. New semi-trailing arm rear suspension. Quite nippy, top speed about 95 mph. Interior was very simple and the trim rattled and squeaked.